small gear you want within arm’s reach. 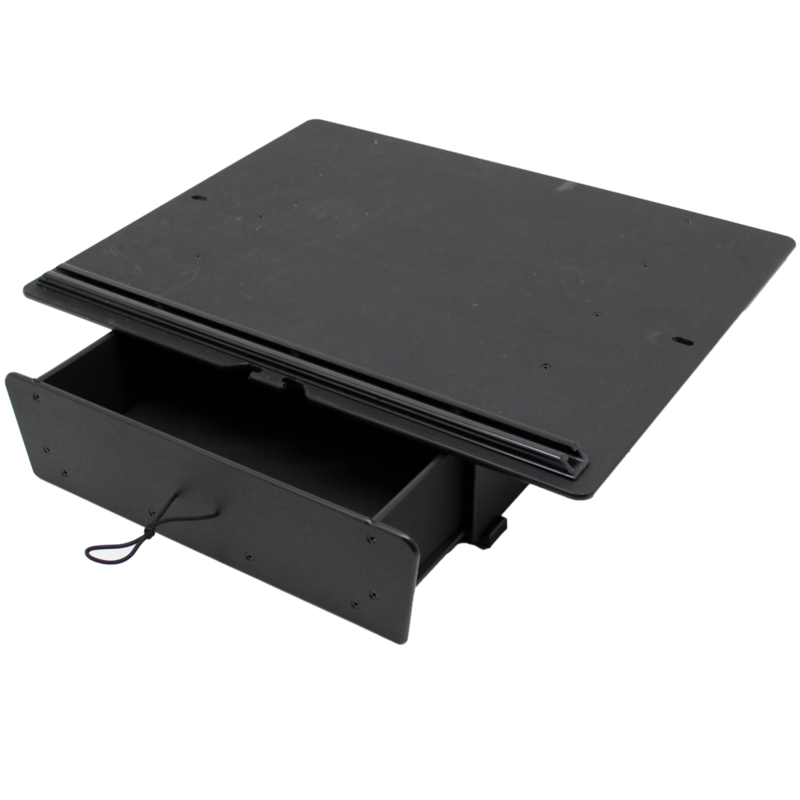 18″ Freedom Track on top surface is perfect for mounting accessories. Drawer fits one 3700 or two 3600 Plano Stowaway boxes.